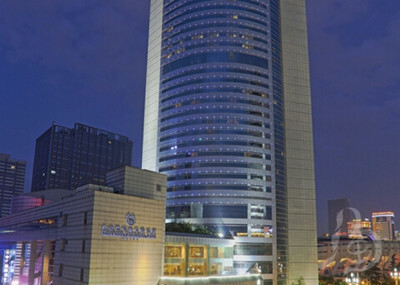 Sheraton Chengdu Lido Hotel is located downtown business and Financial District of gold lots, adjacent to the Tianfu Square, the government of provinces and cities, the traffic is convenient. Shuangliu International Airport only 30 minutes, near the panda base, Wenshu, Wuhou Temple and other famous attractions, Sheraton Chengdu Lido Hotel has all kinds of guest rooms, and is also provided with a non-smoking floor and disabled room. Fine furniture in the room, high-grade facilities complete, open field of vision. Ad hoc five executive floors, provide more detailed, more thoughtful service for business guests, the Executive Club Lounge for you provide for leisure or business gathering place, Chengdu Tianfu Lido Sheraton Hotel Hui star Court Restaurant quiet elegant, western style restaurants, Asian flavor, Yee mouth delicious, fragrant. Tianbao Pavilion restaurant on meticulous craftsmanship and classical restrained elegance, provide a unique taste of Cantonese cuisine and Sichuan cuisine. Cuiyun gallery and food stores to provide a variety of recreational and fastfood; lobby to spring it launched all kinds of drinks and afternoon tea is the best place to chat, leisure, business meetings. The coolest, the most dazzling 12 bar let you experience sports leisure, fashion entertainment, enjoy relaxation, Chengdu Sheraton Lido Hotel Chengdu has more than 400 square meters of banquet and conference rooms, and all kinds of small number of functional rooms, elegant, perfect facilities, is a wise choice for your meeting, exhibition and meeting. Provide broadband Internet access, professional banquet staff will provide you with the best service and help from the conference layout to the menu selection. Here is the ideal hotel for business, conference and travel.